← A New Shop Section for EU Customers! Your pot holders are great. I would try making the bathtub. The first one I would make is the chicken sauce pot. What fun. 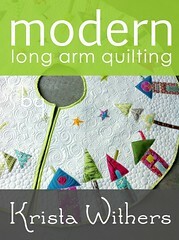 I think the sewing machine would be first on my list, but all the projects look intriguing! I would make the wall hanging with the pockets! So cute! 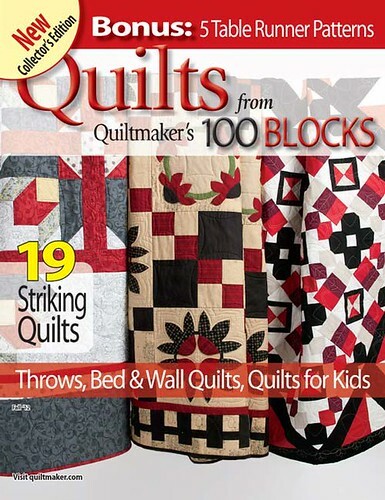 I am in a quilt a long right now and have been learning paper piecing…i have to say it might be my favorite quilting technique! I would probably have to start with the sewing machine. You know I love a nice retro machine 🙂 Your potholders are so cute! I love the chickens too! I want to make everything! If I had to pick one, I think I’d start with the viewmaster. 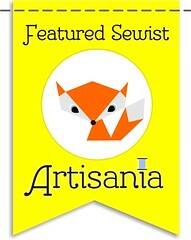 This book is at the top of my wish list of new books to get. Your pot holders look great! I love the idea of that sewing machine pocket ‘thingy’!!! It is adorable AND practical at the same time- the perfect project, in my eyes! 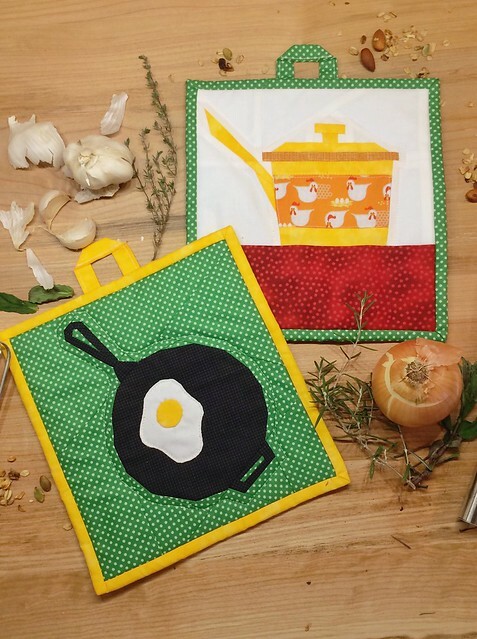 First I would have to make the pot and frying pan with egg potholders. Yours are adorable! Thank you for the chance to win. The viewmaster. I couldn’t figure out what it was until I backed away from my computer. It’s awesome. I laughed seeing all the blocks! What an amazing book. Your skillet I need to do because my husband only uses cast iron for his bacon and eggs. Haha! Great job! I LOVE the sewing machine…… that would be my first!!! I’d like to make the Viewfinder. Too cute. 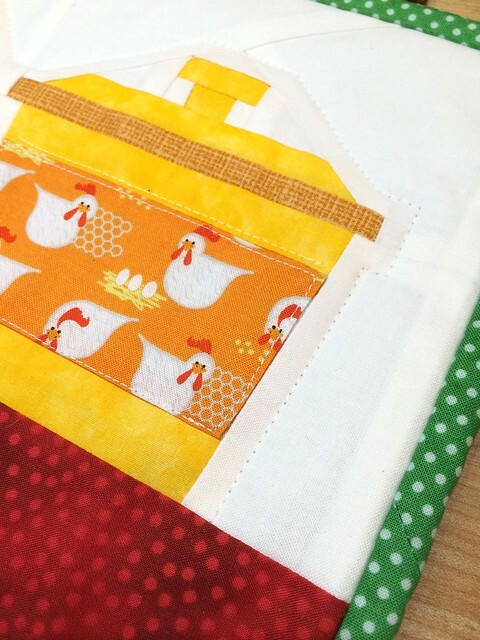 OMG – I LOVE the fabrics you chose for your projects. So fun! I would definitely have to try the sewing machine. Too much fun! Love your frying pan! I am a paper piecing fan from way back. I will have to get this book! I want the viewfinder it reminds me of my childhood. But the cast iron pan, my son’s new love for cooking in, I could make him potholders. All of it is the finally answer. I love retro and paper piecing is my favorite. The patterns are gorgeous and so unique. The claw foot bath tub is a must-have. I’m thinking of the chair cushion! Who could pick only one?? Thanks for the giveaway. What fun! I would definitely make the retro television on the cover. 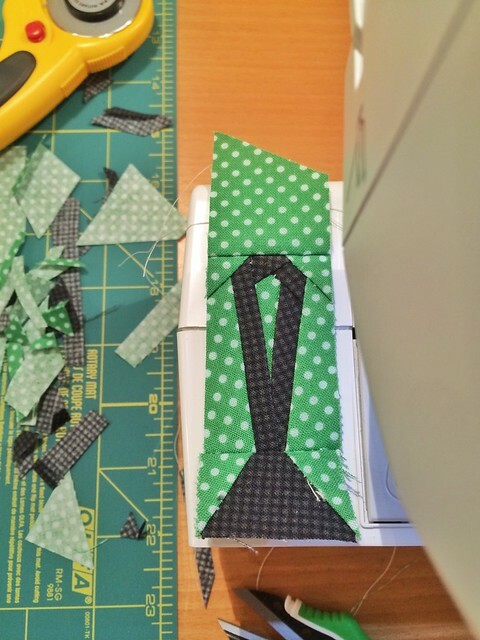 Both the alligator and paper clip blocks look really cute to me so I’d start with one of them. 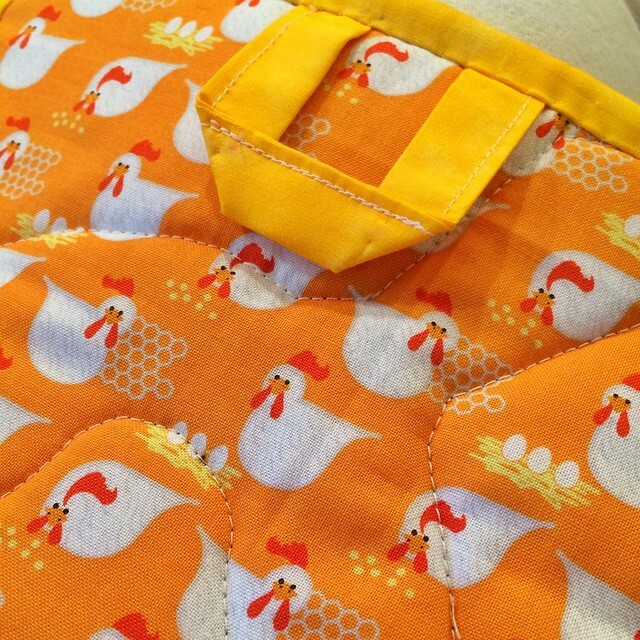 Love your potholders and that chicken fabric is absolutely the best! I will definitely make the saucepan, and the lamp is oddly attractive also. I am going to love this book. I love your pot holders. Thanks for such a great review of a wonderful book. For my favorite, it would be a toss up between the viewfinder (since I had one as a child) and the fried egg in the skillet. 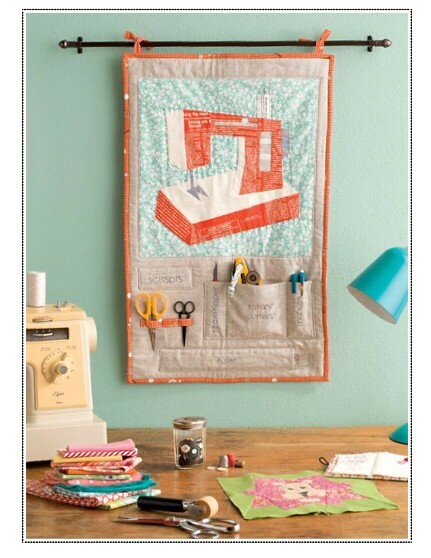 I would have to make the wall hanging with the sewing machine with the handy pockets at the bottom. The claw footed bath tub reminds me of my MIL’s tub. I would make a wall hanging of it for my bathroom. 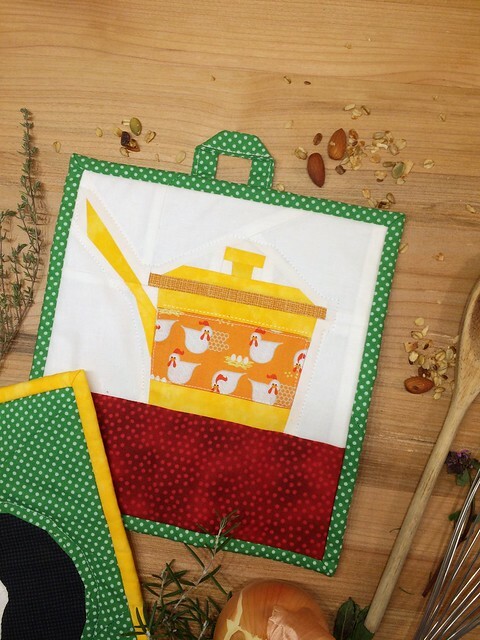 I was thinking of the sewing machine, that is until I saw that really cute pot of chicken soup pot holder! Too cute!! Love how whimsical the projects are. Definitely would make the sewing machine one. Love your potholders & thanks for the chance to win. I love the bath mat! HI, love these Pot Holders and I’m in need of them. so I’d make me some! So neat! How absolutely FUN! I lived with ALL of these things☺️ A super nostalgia project! My first project would be the fried egg is the frying pan. So much fun! I haven’t seen them all but I love the watering can. Your blocks are fun. I think that the black frying pan with egg is just great as I have a cupboard of them that I have been using for over 40 years. Just love the blocks and all the memories. I love the couch block. Too much fun. The pan. 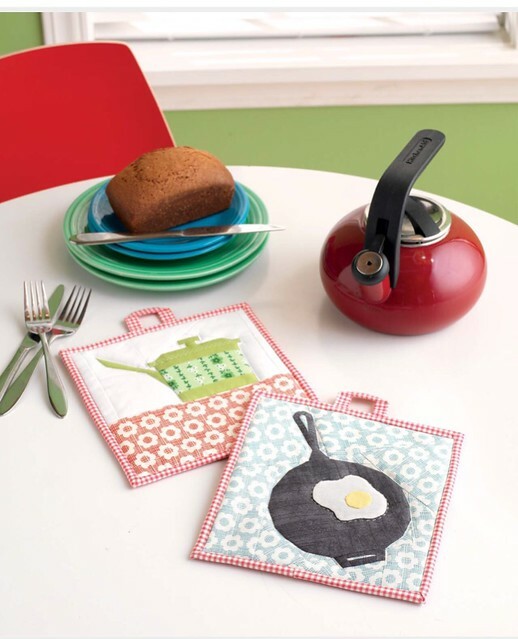 ..my hubs cooks eggs every morning and that would be one adorable pot holder! 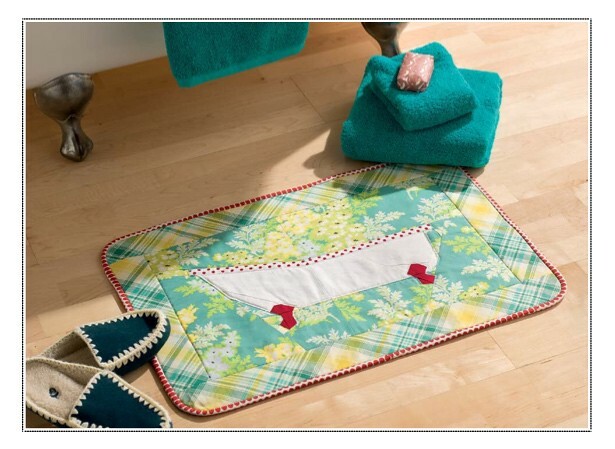 I would love to make the bath mat! 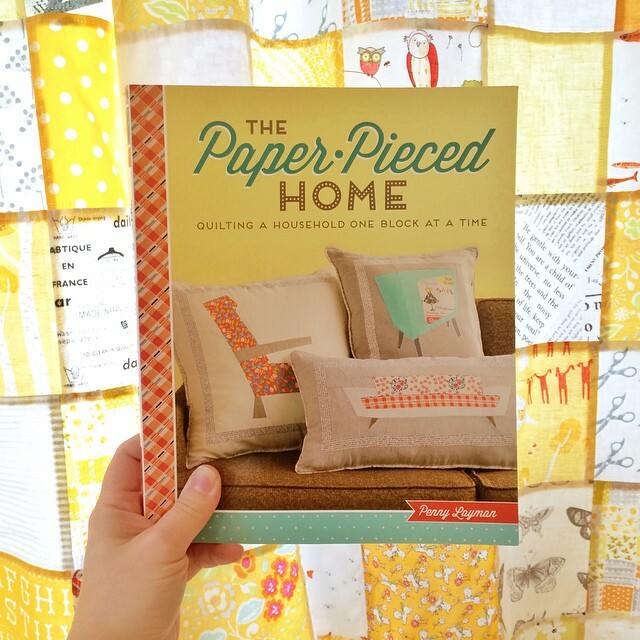 I love paper piecing. So many fun projects, I’m not sure that I could chose just one. I really love the sewing machine, so it might be first. 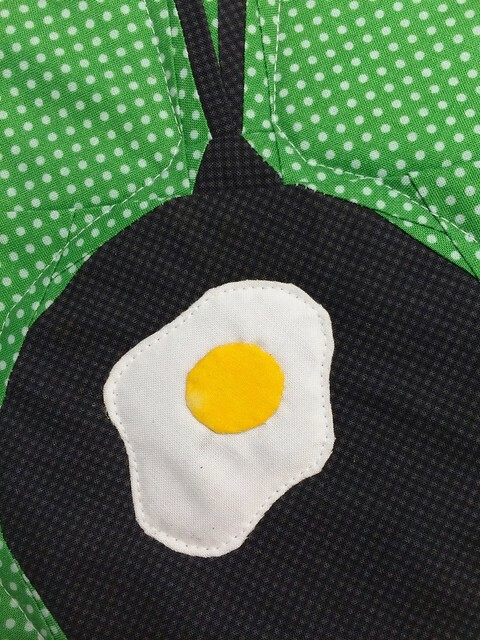 You have a great sense of humor with the caste iron skillet potholder! I like the retro feel of the blocks you displayed. Love that cast iron pan potholder – so fun! This book is on my most wanted list! I love the sewing machine!! crossing my fingers and toes! I have to make the sewing machine organizer. Love it so much! And also the coffee cup. I’m planning a quilt that tells the story of my family life growing up and the fried egg cast iron skillet would be great in that quilt. I have to have it! This looks like a fantastic book. Thanks for the chance to win! That’s a hard question to ask = all the projects are great! I’m a sucker for kitchen blocks, so it would be the cast iron! Okay. You had me at the Viewfinder Block. I would definitely make the Viewfinder. That sold me on the book right away. Love that clawfoot tub, but, I’m also in love with that fried egg pot holder. What fun! Thanks for the chance. I do love the skillet block, but I have to see all of them before deciding what to make first. Fabulous book. I just want to make everything! I need to sharpen my skills so I can make a little rotary phone. 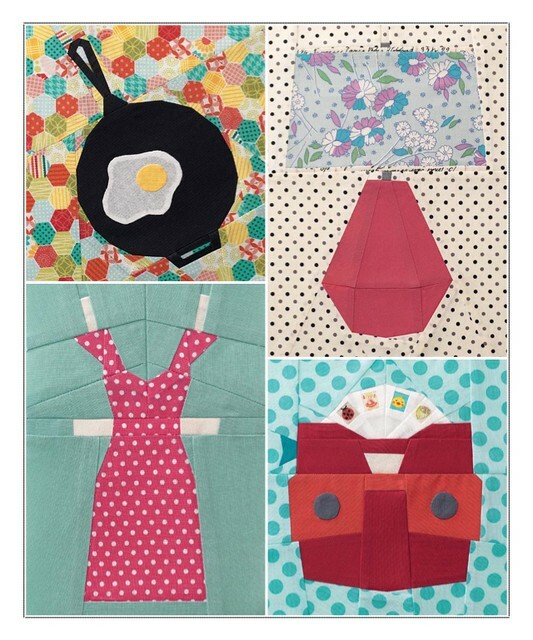 The pot holders are great, but that sewing machine wall organizer gizmo is an absolute must. I love the book block is cute, but I also really like the kitchen ones, too! I love the lion block in the book. Good grief! How does one even choose? 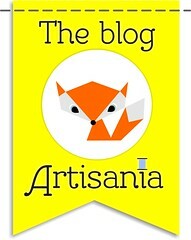 Each blog I visit has a block I think is cuter/cleverer than the last! But I do have a thing for sewing machines… so that one might tempt me more than others. 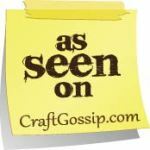 That said, the blog hop’s not over yet! I agree with you, your chickens are great. 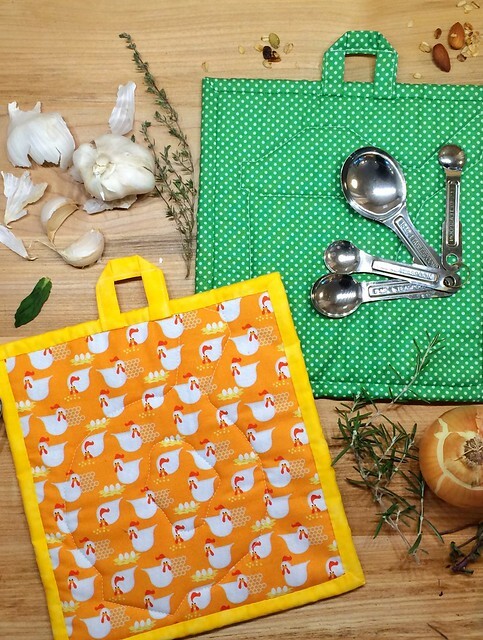 Your Mom is lucky to have some new pot holders. The tub would look good on the bathroom wall too. The best thing about Penny is how nice she is! I’d have to make the viewfinder. It’s amazing. The retro bath tub is enticing to me along with other designs as well. 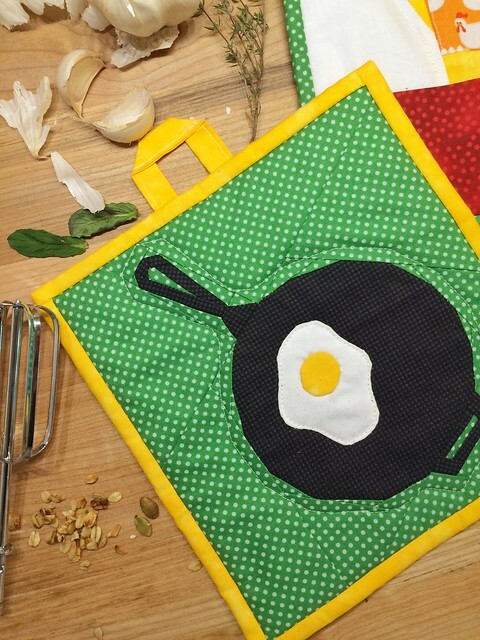 You did such a nice job with the frying pan/eggs and kitchen pot, with the potholders, I would be tempted to make those. They would make adorable hostess gifts. Thanks for sharing the giveaway. Love the pot holders. Especially that cast iron skillet… so yeah that would probably be mine, too. I am so in love with the paper doll dress! Although all the projects look fabulous! I do need a bath mat so I’d make that. 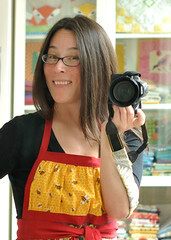 I love the sewing machine, and the skillet, and all of them! Oh, I sew want to make the couch!! Thanks for the opportunity to win! 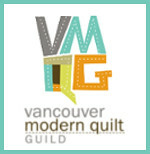 I want to make that sewing machine wallhanging tool holder, and the viewmaster! So many great retro blocks! I have a collection of cast iron pans, so I would absolutely make the cast iron potholder pattern. And, I agree, the handle is so cute! These patterns are so cute. I would make the sewing machine first. Love your potholders!! The book looks amazing!! 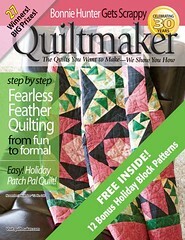 Like the wall hanging and would love to try to make it. I love the view finder. I think I might have to special order some fabric for those little window images. 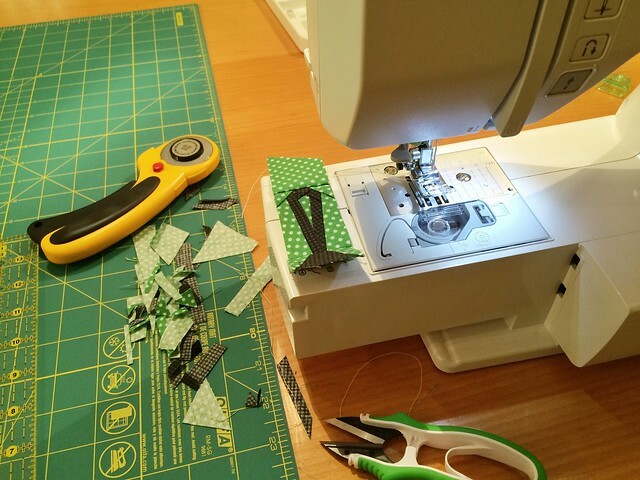 I adore paper piecing me would love to make the sewing machine organizer and the high heeled shoe…..awesome!! I love that cast iron pan! the chickens ARE awesome! your potholders look fabulous, i love the vintage pot especially! everything I’ve seen is super freaking cute, but i LOVE the rotary phone block. omg! it’s so perfect! that’s what I’d make first, a big pillow for my couch with an adorable phone on it. The fried egg on the skillet – hilarious – would probably do that one first – jsut cuz it is so much fun! Thanks! I want to make the viewfinder. Thanks for the chance to win this fun book.